A California patient with aggressive glioblastoma brain cancer has become the first person to be treated under a controversial Right to Try law that broadens access to experimental therapies with less oversight from the Food and Drug Administration (FDA). In late November, the anonymous patient started treatment with an investigational vaccine known as Gliovac (ERC1671) being developed by Belgium-based Epitopoietic Research Corporation (ERC) and the University of California at Irvine (UCI), according to a company statement. 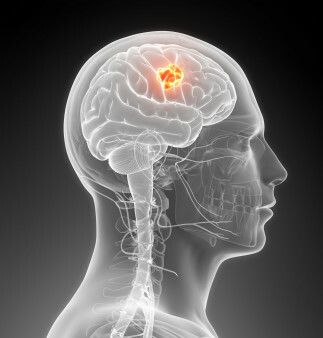 Currently in Phase II trials, the cell-based therapeutic vaccine aims to train the immune system to recognize and attack brain tumors. Unlike most cell-based therapies, the vaccine uses a combination of autologous cells from a patient’s own tumor and allogeneic tumor cells from other people. Interim results from a small number of patients, recently published in CNS Oncology, suggest that Gliovac plus Avastin (bevacizumab) and cyclophosphamide may offer a survival benefit, but further data are needed to confirm these findings. As previously reported, President Donald Trump signed into law a federal Right to Try bill passed by Congress in May 2018. The legislation makes it easier for people with life-threatening illnesses to use promising experimental therapies before they have completed the clinical trials process and received FDA approval. Covered treatments must currently be in trials and have already passed Phase I, meaning they have no major safety concerns but still lack adequate evidence about their effectiveness. Although the ERC statement cites the “Right to Try Law of 2017”—the federal legislation was dubbed the “Right to Try Act of 2017,” based on its year of introduction—the company appears to be acting under an earlier California Right to Try law. Prior to the federal legislation, California was among more than 40 states that already had such laws. The patient who obtained access to Gliovac was not eligible for an ongoing trial. ERC indicated that it was willing to make the treatment available to this individual under existing expanded access provisions, but the Right to Try process requires less paperwork and would likely be faster to implement, the company told Regulatory Focus. Right to Try laws at the state and federal level have been controversial, with patients and advocates coming down on both sides. Under existing rules, people with serious conditions could ask the FDA for expanded access to experimental drugs—also known as compassionate use—if they had exhausted treatment options, the probable risk from the investigational drug did not exceed the risk from the disease itself and they were unable to participate in clinical trials. Opponents of the bill argued that the FDA already expeditiously approves almost all expanded access requests. Proponents countered that the process is too cumbersome, noting that fewer than 2,000 such requests were made in 2017. Some advocates say pharmaceutical companies—rather than the FDA—are the main barrier to expanded use of experimental therapies. State and federal Right to Try laws do not require drug companies to provide their experimental therapies prior to approval, nor do they obligate insurance companies to pay for them. As the law was being debated last year, Cancer Health published two perspectives from advocates in support of and opposed to the Right to Try legislation. Advocates on both sides agree that researchers, regulators and industry should do more to help as many people as possible participate in clinical trials, including broadening eligibility criteria to include patients who are older, sicker and have coexisting conditions.